Schooner tonnage 111, Built by Richard Davies, Beaumaris. Surveying Officer Mr James at Porthdinllaen, one deck, Two masts. Her length from inner part of the main stern to the fore part of the stern aloft is 28ft, breadth midship is 18ft two tenths. Depth in the hold – mid ship is 10ft eight tenths. Figurehead – Bust of a woman. William Parry of the parish of Nevin in the County of Caernarfom – Mariner – twenty shares. John Griffiths, Merchant – Two shares. 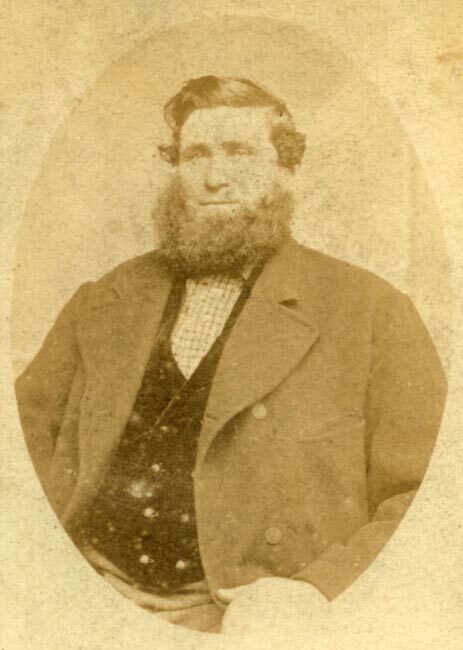 Edward Roberts – Farmer – Four shares. Richard Williams – Blacksmith – Two shares. All the above of the Parish of Nevin. Both of the Parish of Edern. All the above of the Parish of Tudweiliog. Hugh Evans – Farmer – Two. All the above of the Parish of Penllech. Thomas Christian – Sailmaker, Liverpool Four. 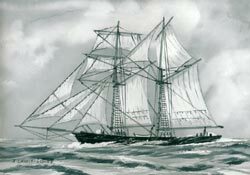 The Jane and Ellen was engaged in carrying cargoes of slate from Caernarfon and Portdinorwig to ports all over Britain and Ireland. On June 11th, 1853 whilst in Poole, Dorset her Captain William Parry fell between the vessel and the dock side. He was buried at Longfleet but there is a memorial to him in Fynwent Newydd, Nefyn. William and Catherine Parry lived at Tyn y Maes Nefyn and had three sons, John, William and David all of whom became sea captains. David Parry the youngest took command of the Jane and Ellen. He married Mary Griffiths of Penarfynydd, who was the youngest daughter of Capt Griffith Griffiths Master of the schooner Vine. Capt David Parry died suddenly in July 1877, aged 43. He left a wife Mary, daughter Ann aged 6 and a son William 18 months, they lived at Fair View, Y Maes, Nefyn. 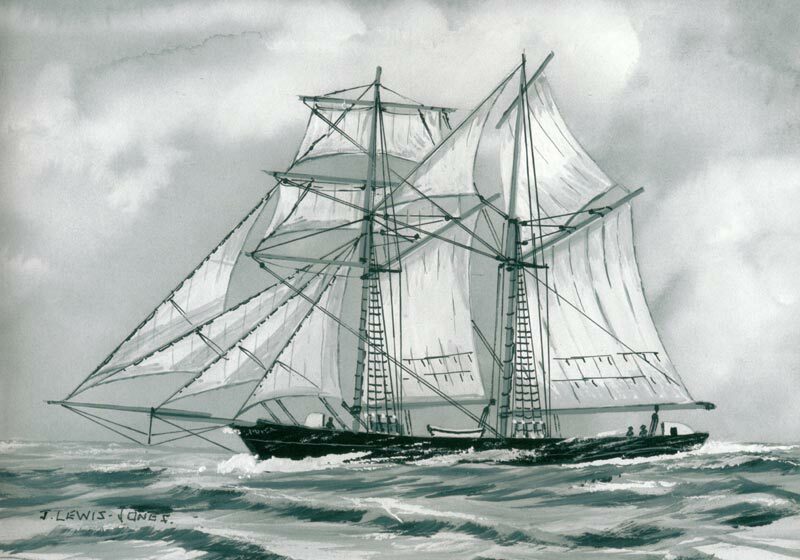 After the sudden death of he husband Mary continued to run the schooner Jane and Ellen and engaged Capt Henry Jones to take command of the vessel. In his book ‘Hen Longau Sir Gaernarfon’ (Old Ships of Caernarvonshire) David Thomas mentions that Mary Parry was the only woman to manage a ship on her own at that period in time. Thus from 1877, Mary Parry was the sole owner of the Jane and Ellen. 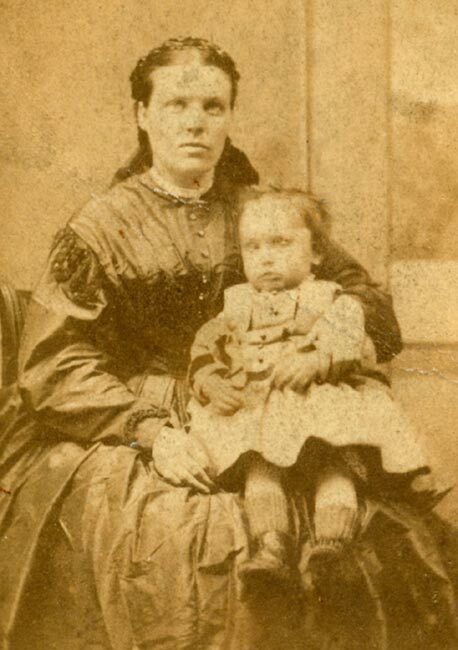 Sometime during 1890, her cargo of slate shifted and she foundered off the coast of Abererch, but she managed to limp back to Portdinorwig, and she was broken up in 1892. Thanks to Mrs M Thomas for this information about her family. Jane & Ellen painting by the late Capt John Lewis Jones, Morfa Nefyn.